Everybody including me never ever expected that the New Green Hornet persona has been decided to be played by the chubby comedian Seth Rogen. 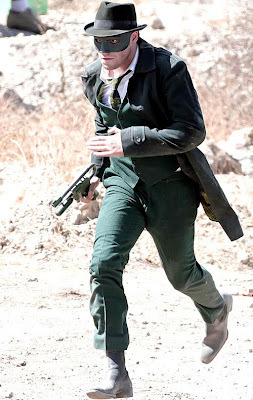 But when I saw the pic of Seth Rogen as the Green Hornet, I became completely speechless. Seth Rogen looks good on the costume and he is not chubby anymore. He practically lost all those pounds and I think he fits well to the role. Now I'm excited to see the trailer.